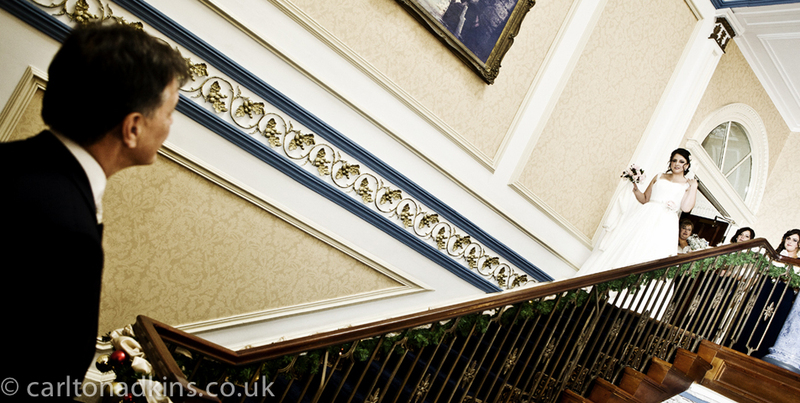 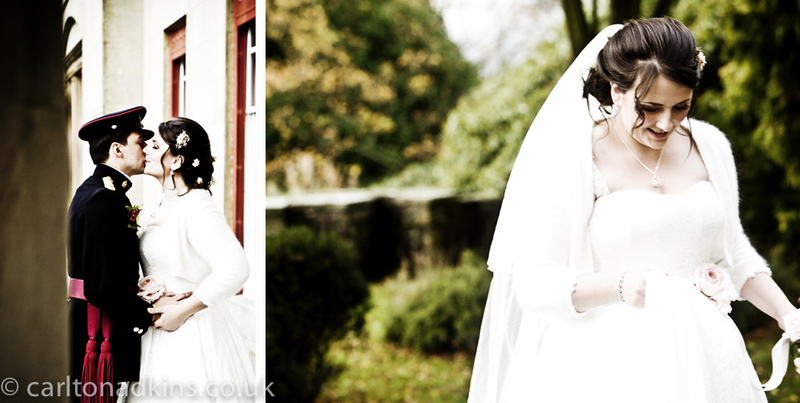 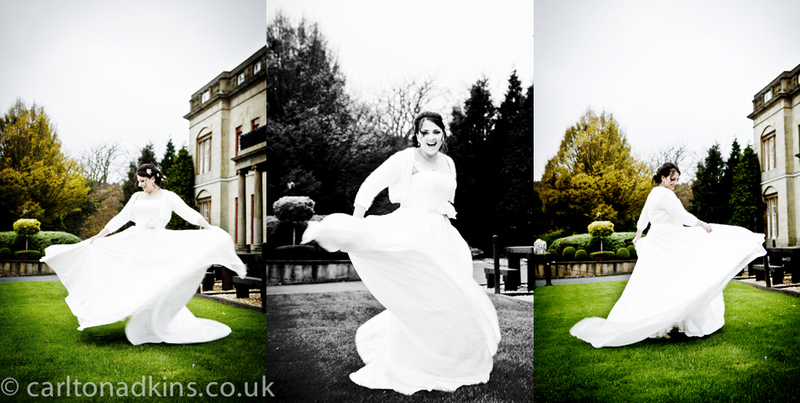 Situated in Macclesfield Cheshire is the superb Wedding venue Shrigley Hall. 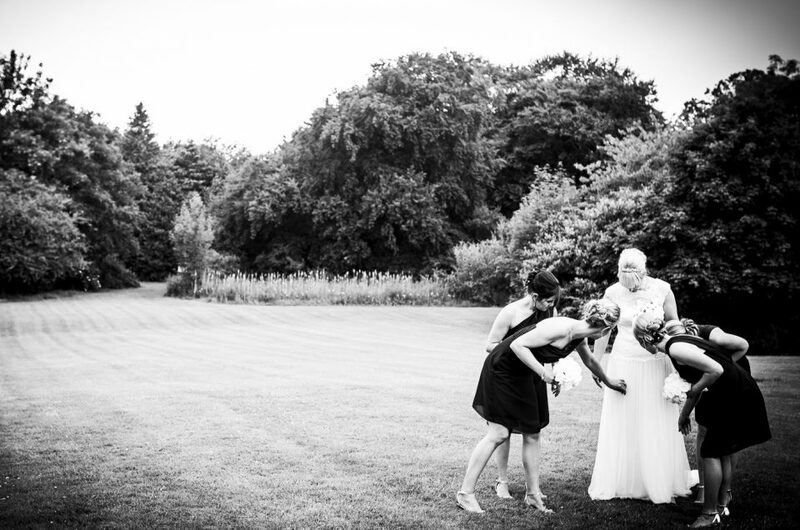 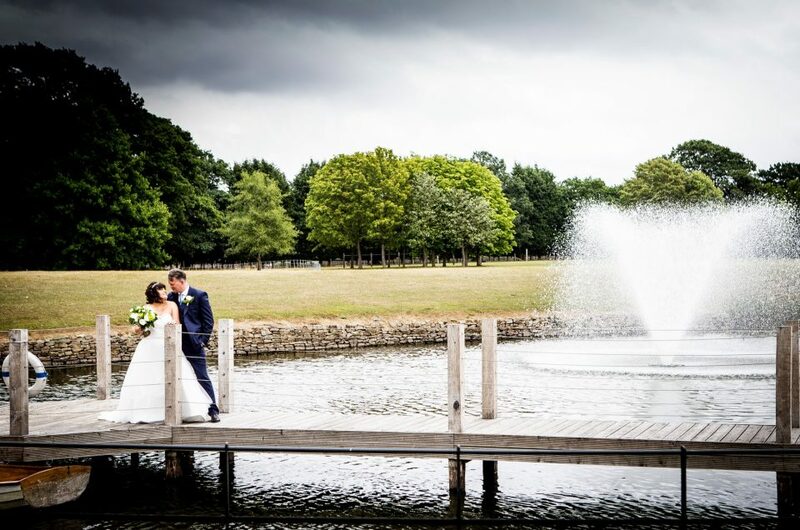 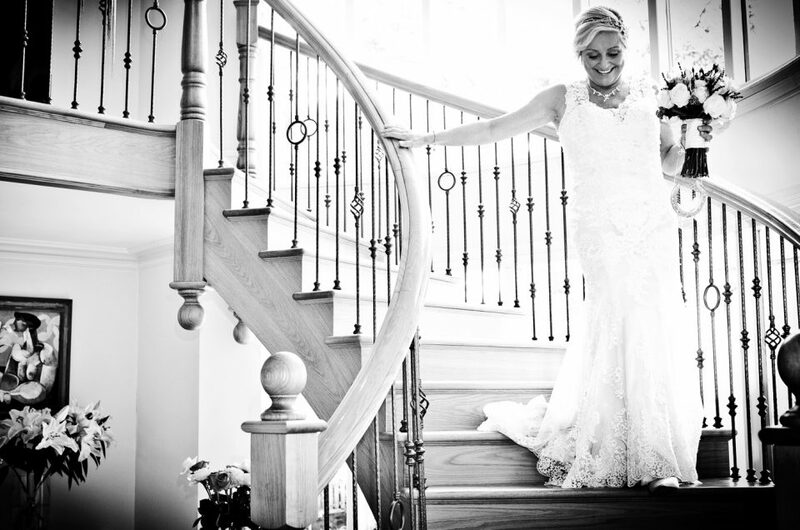 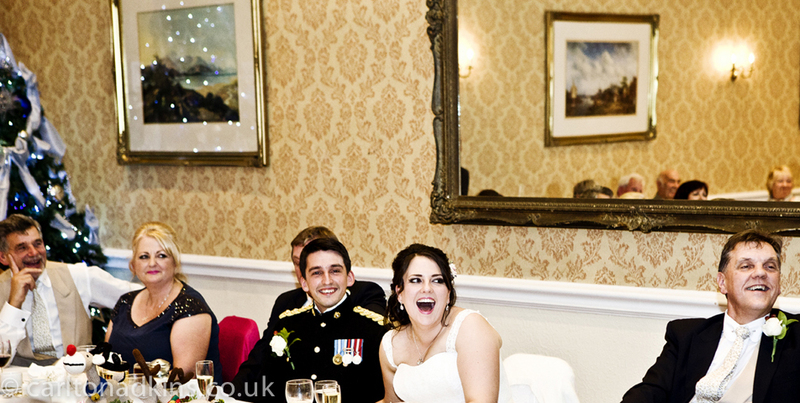 The is was to be the venue for Katie and Tom who also chose to have a civil wedding ceremony at the hall. 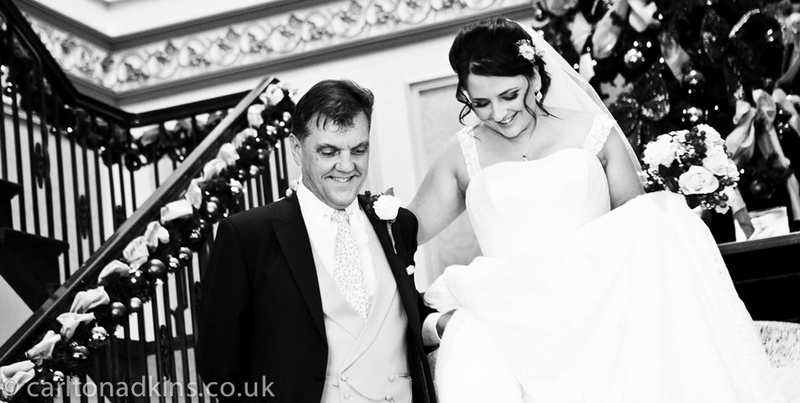 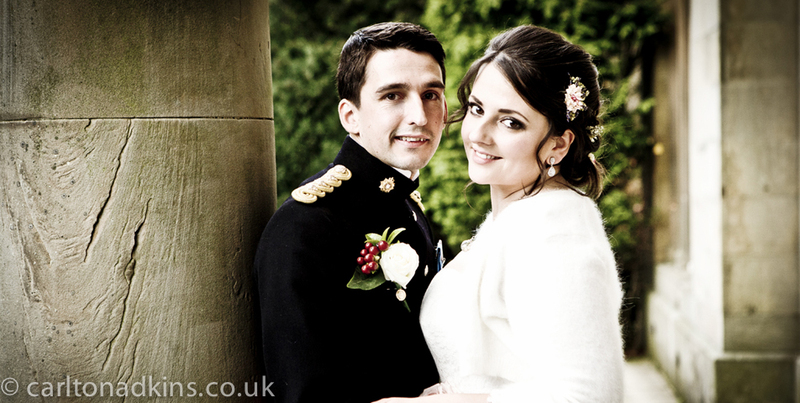 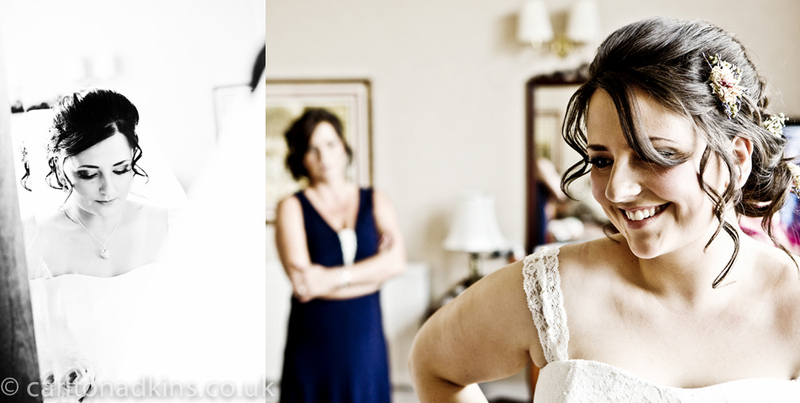 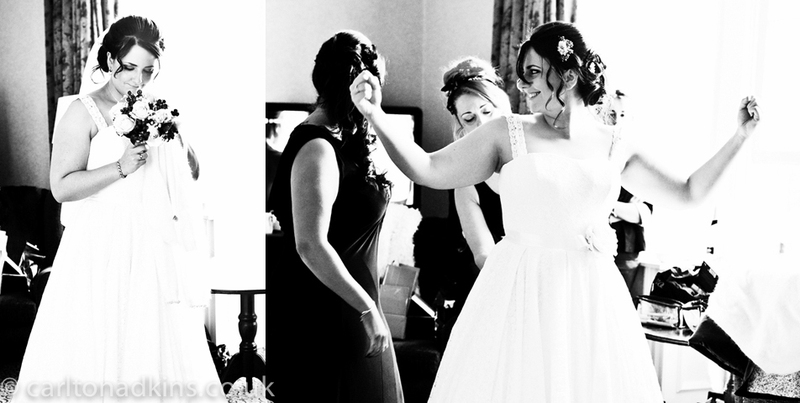 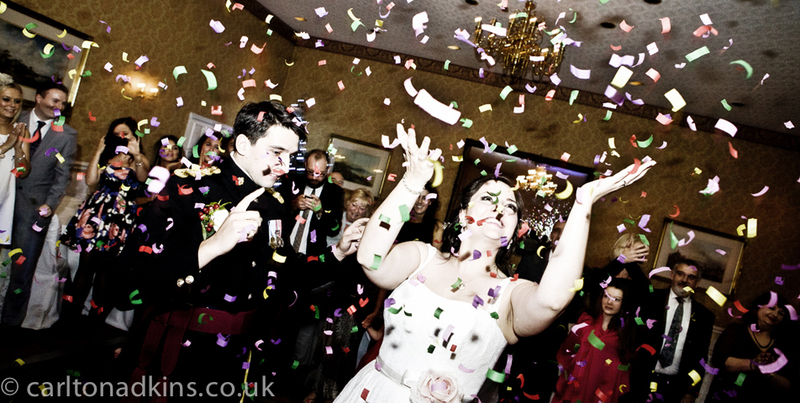 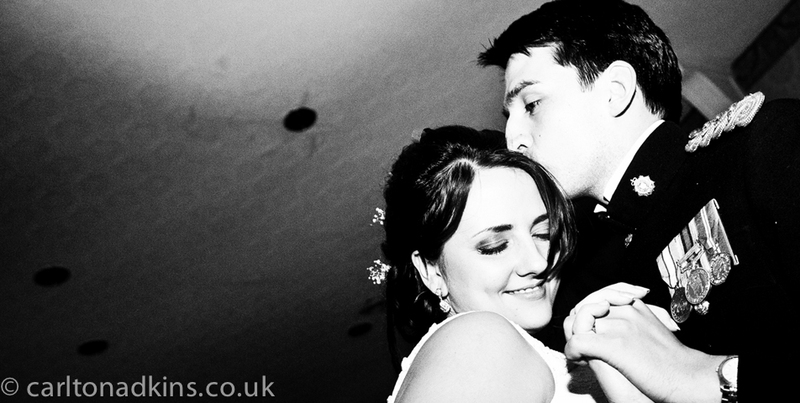 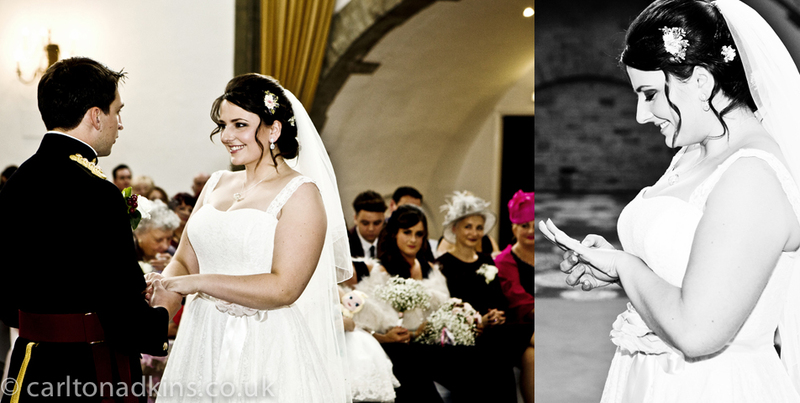 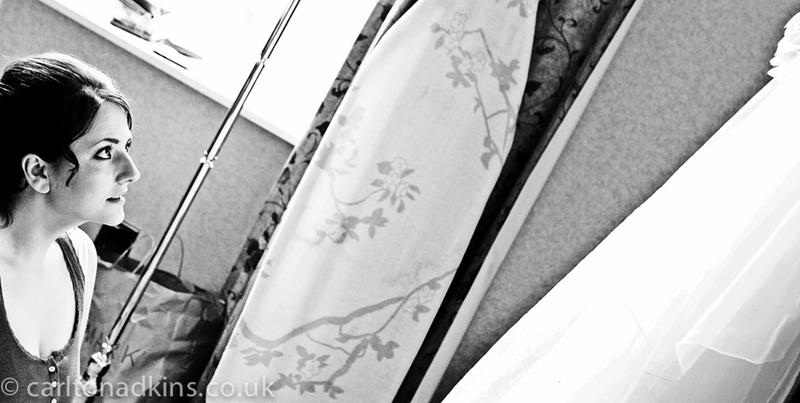 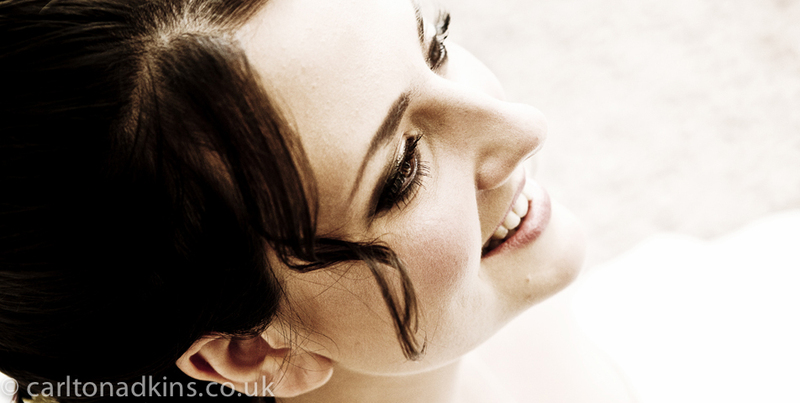 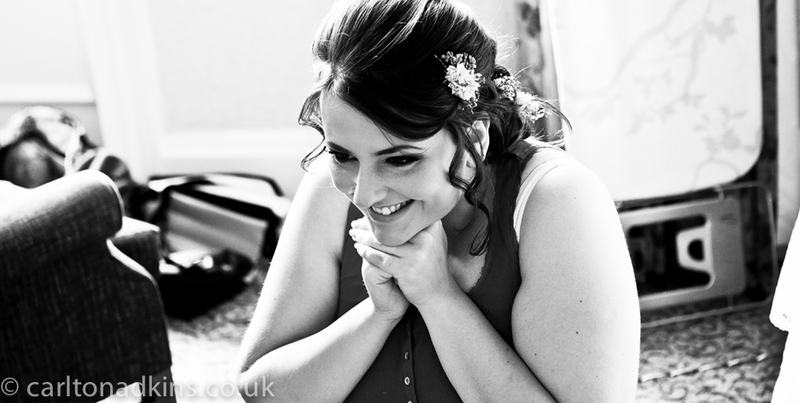 Both Katie and Tom got ready at Shrigley Hall with rooms far enough apart to avoid bumping into each other …. 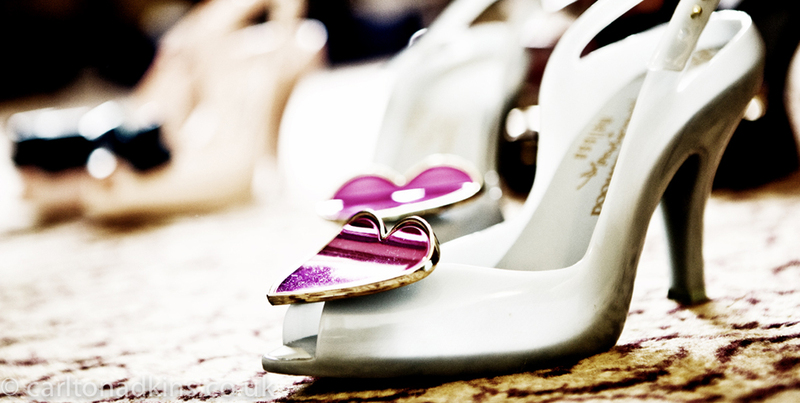 obviuosly . 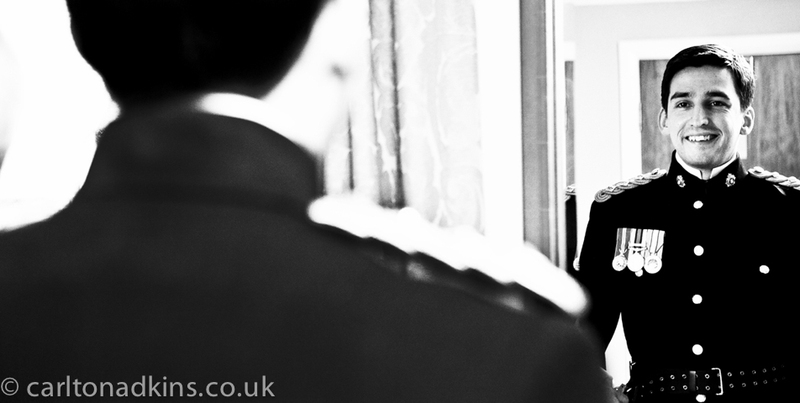 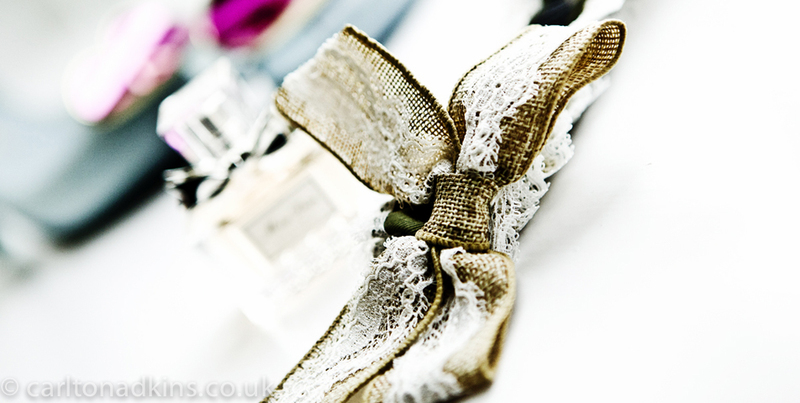 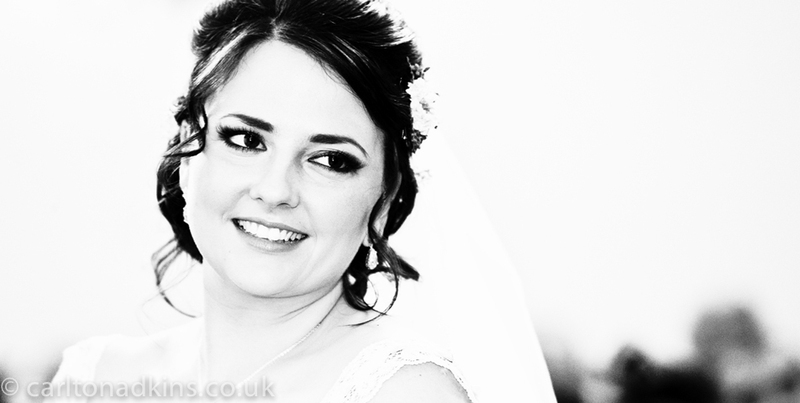 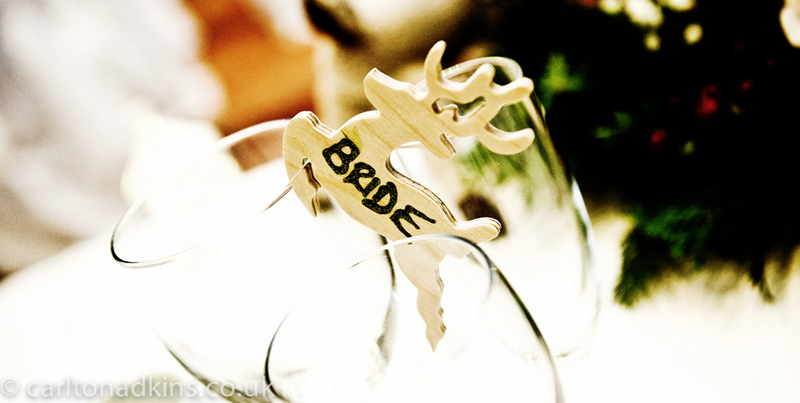 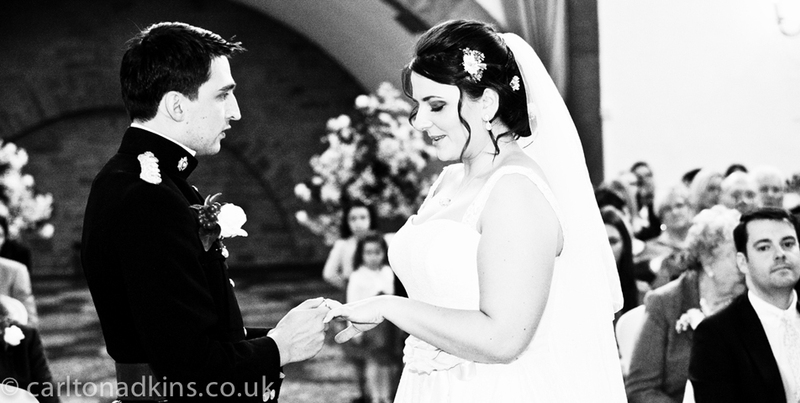 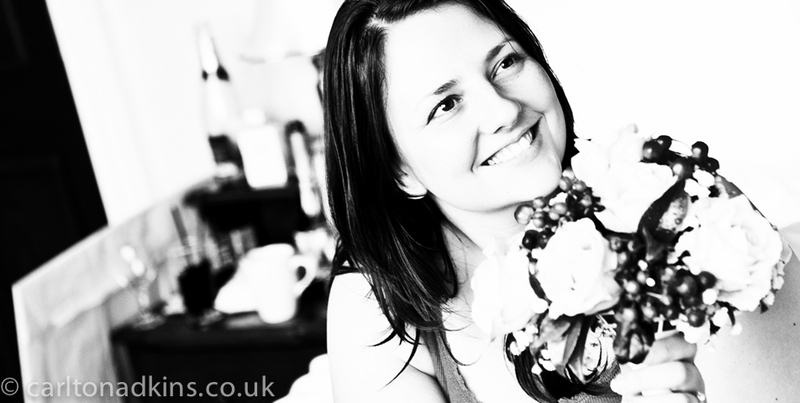 This meant that I could achieve photography of both the bride and grooms preparations which always makes for great wedding photography. 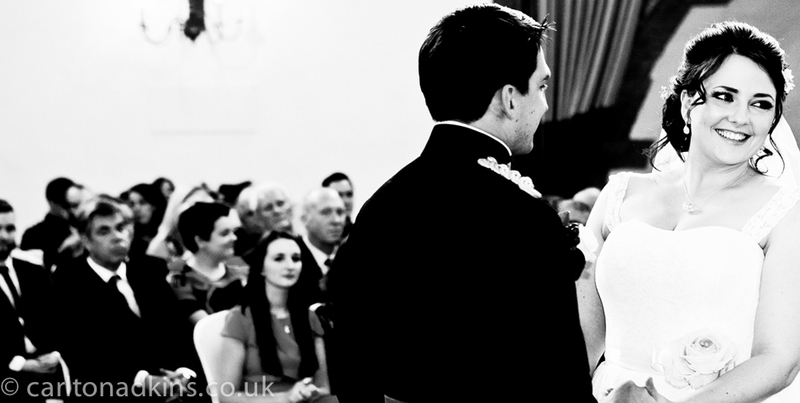 With the preparations complete it was on to the civil wedding ceremony and fortunately I was permitted to photograph the ceremony with free reign, which shows in the natural and spontaneous images of the happy couple exchanging their wedding vows. 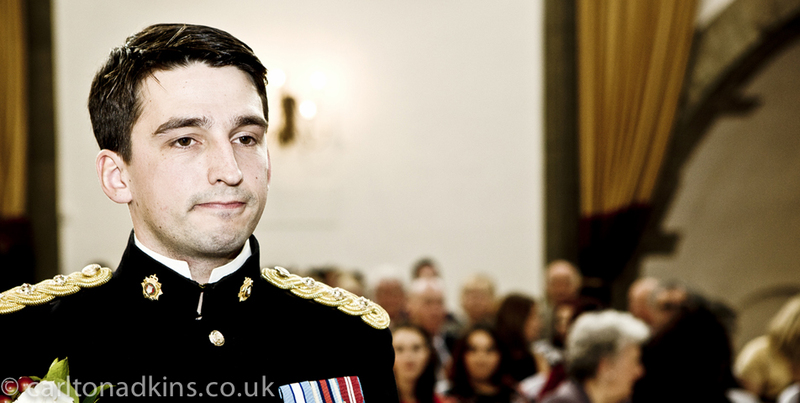 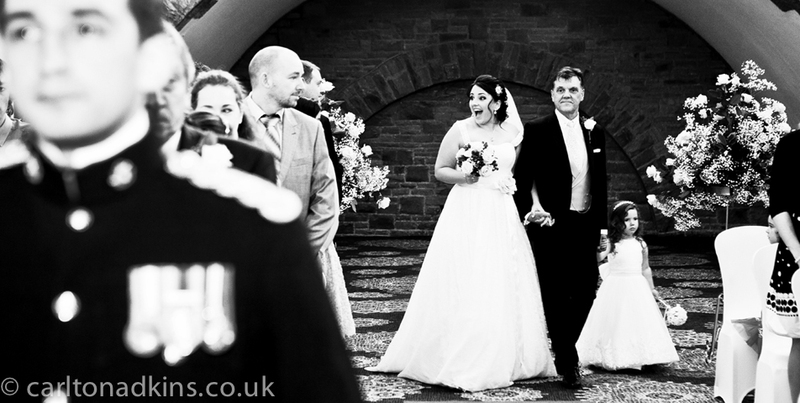 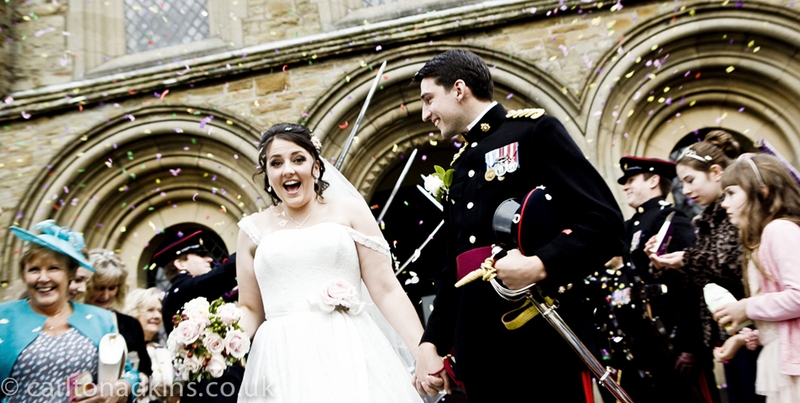 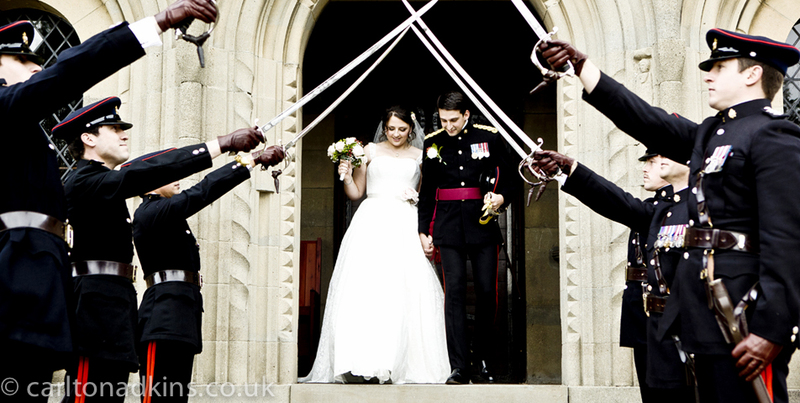 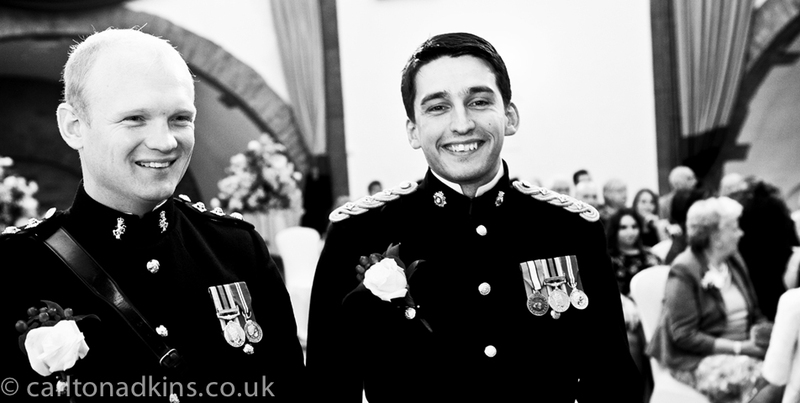 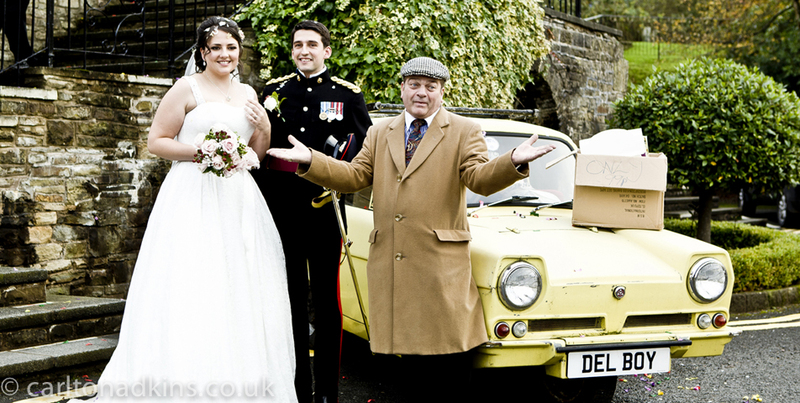 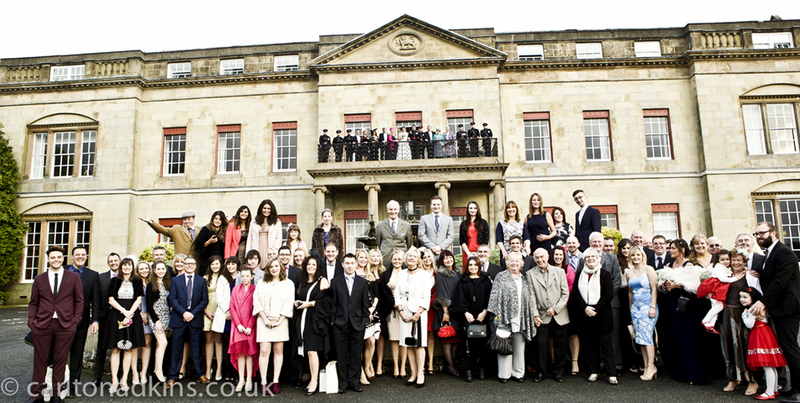 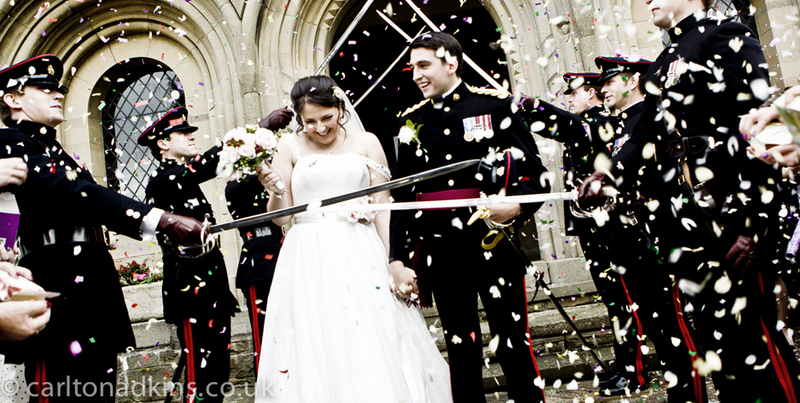 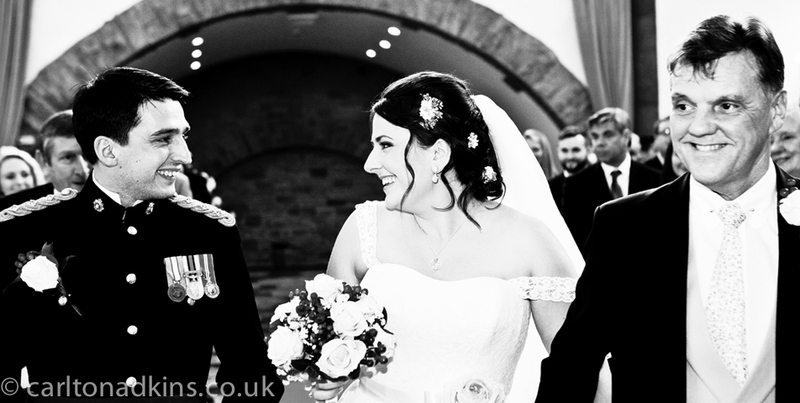 With the civil wedding ceremony complete a military welcome was awaiting the bride and groom outside the Shrigley Hall wedding chapel.